Omnibus films are something of an oddity in cinema. When interlinking narratives – or even stand alone tales – are amalgamated the different directorial styles and/or trajectories can often be jarring, resulting in the audience withdrawing from the constructed realism altogether. Yet when visions align, as with the wonderfully postmodern Grindhouse in 2007, the results can be incredible. 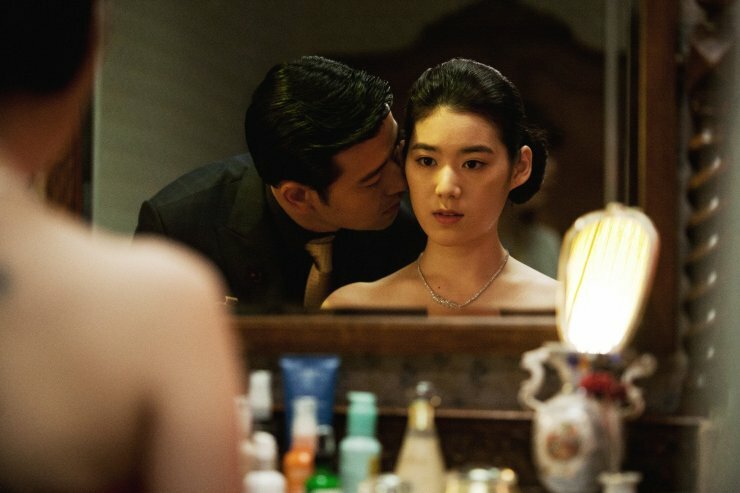 Korean cinema (as with French) has employed the use of omnibus structures recurrently, and while most tend to fall by the wayside some, such as Five Senses of Eros, are highly interesting pieces of celluloid. Horror Stories (무서운 이야기) attempts to resolve such creative differences through a narrative featuring a young kidnapped girl forced to tell tales of horror to her abductor. The concept is an interesting one, giving free creative reign to all five directors to make the short stories they envision. Yet despite such allowances the result is – predictably – quite mixed, although most entries tend to be lackluster examples of the genre with the exception of director Jeong Beom-sik’s (정범식) segment ‘Sun and Moon’. For this review, in the interest of fairness, each short film will be evaluated on its own merits. A high school girl awakes to find herself gagged and bound in an unknown location, watched by a mysterious man in a cap. After promising to behave, the gag is removed and the man communicates – through writing – that he cannot sleep unless he feels the chill of horror in his blood. He instructs the girl to tell him the scariest horror stories she knows to help him sleep, but if she fails, he will create his own horror using her as his muse. Director Min Gyoo-dong (민규동) has the unenviable task of providing context for the horror stories, yet he does so competently. The beginning is suitably scary as a young girl is forced to tell stories to her kidnapper. In constructing their fraught relationship the director does well to establish the chilling demeanor of the abductor as he writes his demands rather than speak them aloud. The adjoining sequences are less so, as they each involve the girl attempting to flee, failing, and trying again leading to dull repetition. The finale also suffers in this regard as Min Gyoo-dong (민규동) seems unsure what to do with his protagonists once they are free from the narrative structure of storytelling. 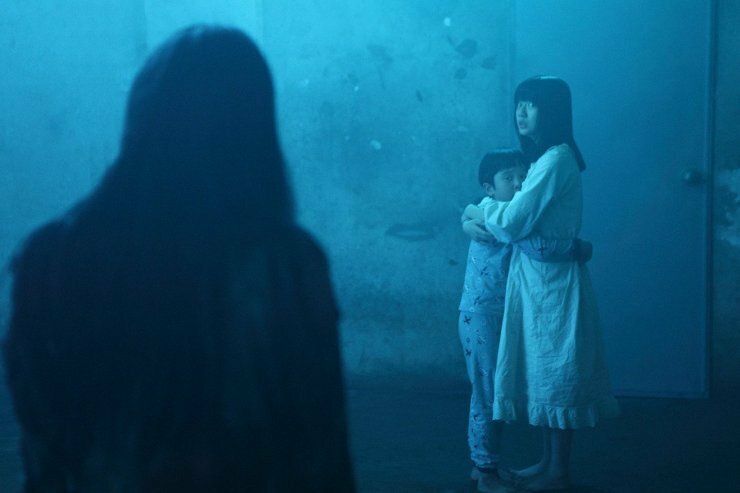 Jeong Beom-sik (정범식) directs the first and strongest segment of Horror Stories, told from the perspective of two young children alone at home. As such the director is able to poke fun at the horror genre as the children are frightened by shadows and noises located in the homestead, mixing horror and comedy to great effect. Events take a sinister turn however when a stranger enters the home and begins chasing them, contributing to the suspense and tension as the predictable pleasures of a traditional horror movie are (somewhat playfully) conveyed. Yet the real impact of the segment lies with Jeong-Beom-sik’s contrast between real and imagined horror. The director locates genuine horror within uncompassionate corporations and the ramifications that unfold from business decisions, with the socio-cultural commentary conveying unadulterated, shocking, and highly emotive horror. However, just as the short becomes highly compelling, it unfortunately ends. The second horror story, directed by Im Dae-woong (임대웅), is much more of a thriller than the title suggests yet regardless is a bland and contrived affair. A serial killer of young women is to be escorted by police on a flight to Seoul, but during the flight the murder escapes his shackles and indiscriminately attacks the crew. Through the segment a great number of ‘coincidences’ and logic-bending occurs in which the killer exploits to rampage through the plane, which quickly becomes tiresome. The potential claustrophobia of the plane is absent, while the inclusion of the ghost of a former victim is without meaning or purpose. The contrivances are so acute the writer clearly couldn’t find a resolution, as the segment ends abruptly. Director Hong Ji-young’s (홍지영) entry is the weakest in the film, involving an attractive plastic surgeon who discovers eternal youth by eating his young brides. The narrative embodies the Cinderella-esque qualities of a wicked mother and sister, yet the over-acting is incredibly distracting as are the ridiculous hints at cannibalism that seem to go unnoticed by the protagonists. The segment does include the most visual form of torture horror, as close-ups of flesh being cut by various devices is suitably gory and unnerving. However there is no escaping the shortcomings of the narrative which is, while tongue-in-cheek, unengaging and trite. The final segment of the film is helmed by brothers Kim Gok (김곡) and Kim Sun (김선), directors of 2011’s White: The Melody of the Curse (화이트: 저주의 멜로디). The narrative is concerned with a virus that has spread throughout Korea, turning the infected into zombies. A medic, police officer and driver are called to the scene of an accident where a young girl and her mother may or may not be infected, and the paranoia that unfolds in taking them to safety via an ambulance. Initially the claustrophobia of the vehicle and the increasingly disturbing atmosphere unfurls well, as the morality of leaving a comatose young girl alone for the greater good is debated. Yet the segment quickly loses impetus as the in-fighting repeatedly continues, as does stopping and starting the ambulance to jettison the possibly infected. The appearance of sprinting zombies helps to spur interest as they are the only sense of a wider context and horror, but as very little is seen of them or the devastation, their appearance is bittersweet. Blandness sets in as unoriginal ideas are rehashed, and the predictable finale does little to offset such criticism. Can the girl satiate her abductor’s need for horror? Horror Stories is, predictably, a mixed effort. While context is provided for each director to exhibit their creative prowess, the reliance on stereotypes, contrivances and predictable pleasures results in general apathy rather than scares. Only Jeong Beom-sik’s Sun and Moon deviates from this trend, and while he too exploits such traits he does so in a satirical postmodern fashion. While fans of the horror genre may find something to enjoy, Horror Stories ultimately lacks the scares that the title so promisingly implies.